PDF of one page of "Direito & Justiça" supplement to local newspaper, CORREIO BRAZILIENSE/2005, by Paula Brindeiro. 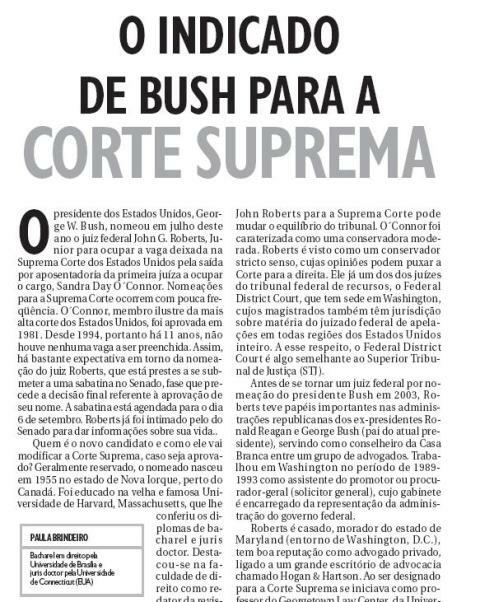 Topic: Bush's nomination of Roberts to Supreme Court of the United States/ in portuguese. 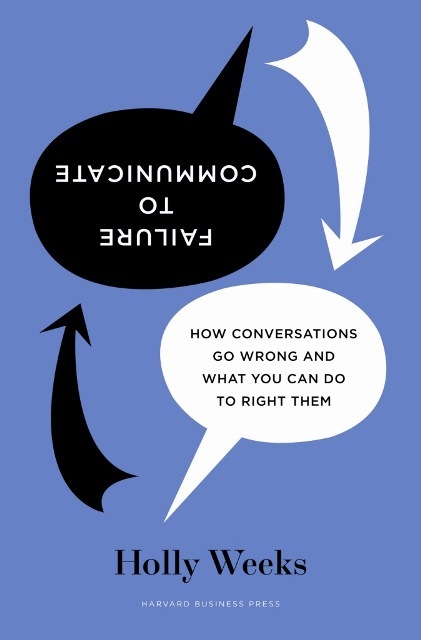 This is a jacket image of my new book--Failure to Communicate: How Conversations Go Wrong and What You Can Do to Right Them. It is being published by Harvard Business School Publishing and will be out in Spetember 2008. Let’s celebrate our varied inspirations, innovations and discoveries. This year the 35th Reunion will feature and exhibit of creative works by classmates. Also send an email to webmaster@hr1973.org with a digital image attached of the object and suggested caption, so we can post it in a Online Gallery on this web site. The material you contribute will be returned at the end of the exhibit if you so request. You may also pick up your item when you depart from the Reunion. Any item not indicated for return will be offered to the appropriate Harvard Library. Questions about the exhibition may be directed to Michelle Grdina at michelle_grdina@harvard.edu or 617-495-5301. Your committee very much hopes that you will participate, as your personal contribution will add to the quality of the Reunion itself. But remember one item only, please.